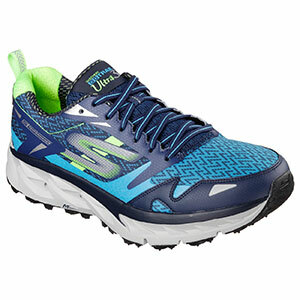 A very lightweight, super cushioned trail running shoe. Offers excellent stability and traction. Fully drainable through midsole side ports. 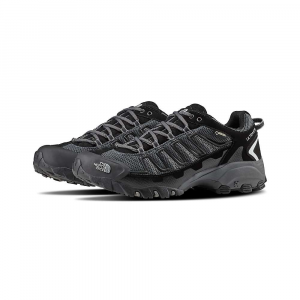 I have been a big fan of Skechers sneakers for years because they have a fairly wide toe box which works well for my feet. 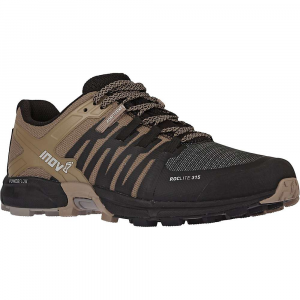 I am one of a growing trend of hikers and backpackers who like to use lightweight trail running shoes when we venture out onto the trail. 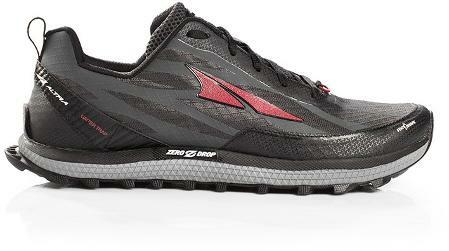 I had used a pair of Skechers GOrun marathon trainers for my hike of the John Muir trail in 2014 and while I was pleased with their light weight and performance features they were a little too thin underfoot and transmitted every rock or root to the bottom of my foot. Traction was also a bit of an issue and the soft sole was fairly worn after 200 miles. When I heard early this year that Skechers was coming out with a designated ultra marathon trail running shoe I couldn't wait to try it out. They were finally released in May 2016 and I was able to receive a sample for testing. Immediately I started taking the GOtrail runners out for day hikes. They were super comfortable with a lot of underfoot cushioning. The mesh and synthetic uppers allowed my toes plenty of space whether heading up or down the trails. In late May backpacking season started and I immediately took the GOtrails on a weekend backpacking trip. With a 20-pound backpack, they performed great, the sole did a great job of isolating my feet from the various irregularities of the trail. 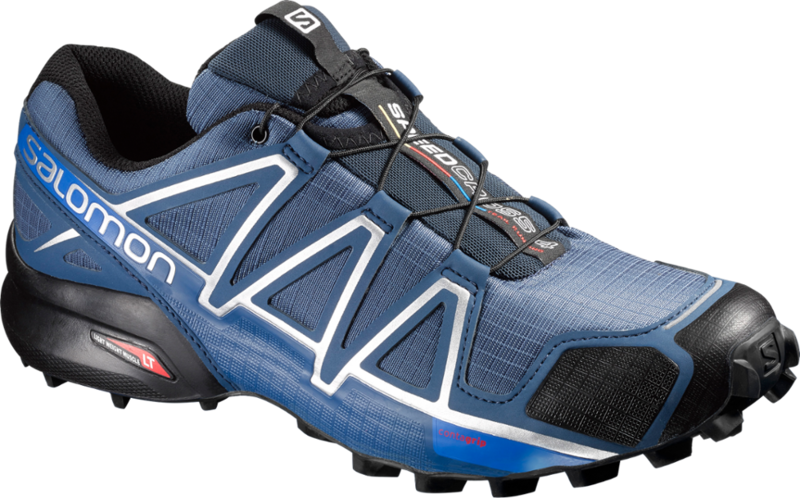 The aggressive lugs and flex grooves in the sole allow me to move down the trail fast and secure. The sole is also wider than the shoes upper and that allowed for a great deal of stability. In June I went on an out and back backpacking trip to the California coast and brought along another pair of trail runners for a direct comparison. I hiked out in one pair and back in the Skechers GOtrail. 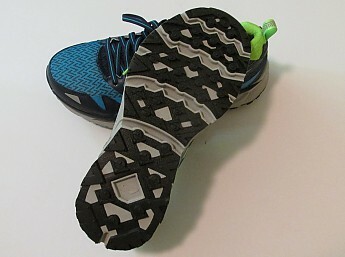 While both runners provided excellent traction and stability, the big difference was in the feel underfoot. The other pair felt thin underfoot and transmitted all the irregularities of the trail directly to the soles of my feet. The GOtrails again did a good job of isolating those trail protrusions. 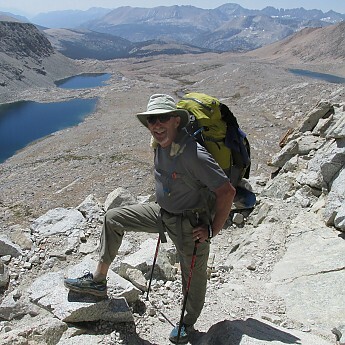 All of these trips and many other day hikes were leading up to a 6-day trip from Horseshoe Meadows to Independence along a combination of the Pacific Crest Trail and the John Muir Trail. Loaded up for this 55-mile hike my pack came in at 25lbs with food and water. Add in my weight of 165lbs and we have 190lbs on my feet. The GOtrail runners were paired with my usual assortment of thin running or travel socks from a variety of manufacturers. I also wore a pair of compression socks that I was testing for the first time. The beginning of the trail is composed of decomposed granite which has become a thick gritty sand. 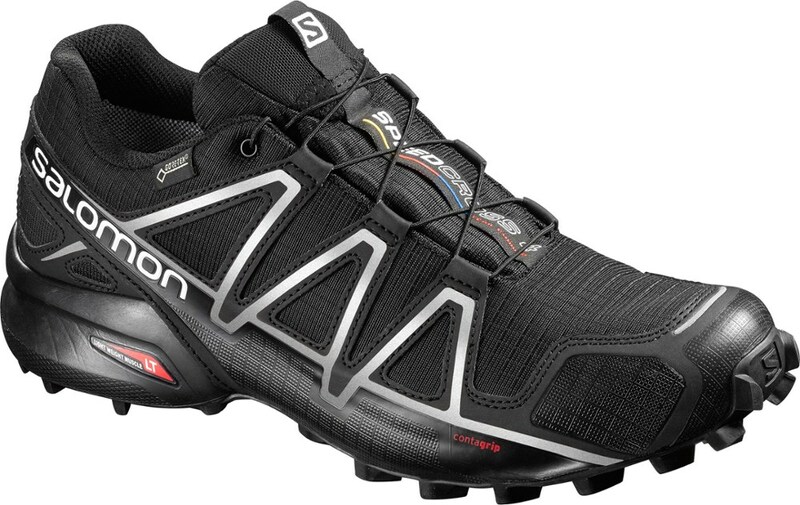 Traction was great and the wide aggressively lugged and grooved sole allowed me to move along the trail without sinking down into the sandy surface. As the elevation increased the trail became rocky and this is where the thick Resalyte cushioned midsole really did a great job of isolating the surface from telegraphing into my foot. The sides and heel of the shoe provided for a really secure comfortable fit and even when laced tight the mesh toe section allows for toe wiggle room. After about 8 miles I started to feel a hot spot between two toes which concerned me. Upon removing the shoe it became apparent that the culprit was actually the compression socks I was wearing. Because this pair of socks had compression all the way to the toes, as my feet swelled over the day they were pinching my toes together. A quick sock change cured the problem. The runners provided good ventilation and along with thin running socks allowed for a blister free trip. Averaging 10 miles a day I really felt these trail runners were doing a great job of providing, comfort, stability, and traction. Coming in a weight of 11 ounces per size 9 shoe their lightweight allowed me to move quicker down the trail and still end the day with fresh legs. While I did a good job of keeping the shoes dry while crossing numerous creeks, if I had put them under water the drains would have allowed me to walk them dry in no time. The one small shortcoming of the GOtrail is that the mesh uppers allow dust to enter which in turn makes your socks and feet dirty. A small price I am willing to put up with. 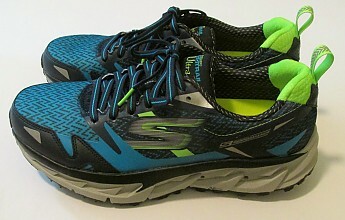 After a summer of testing, I really like the Skechers GOtrail for hiking and backpacking in my dry California area. Disclosure: I received a sample of this product for purposes of this review, but the opinions expressed are my own. 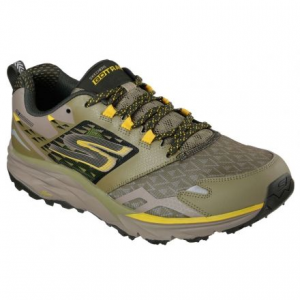 The Skechers GOtrail Ultra 3 is not available from the stores we monitor. It was last seen May 31, 2017	at CampSaver.com.